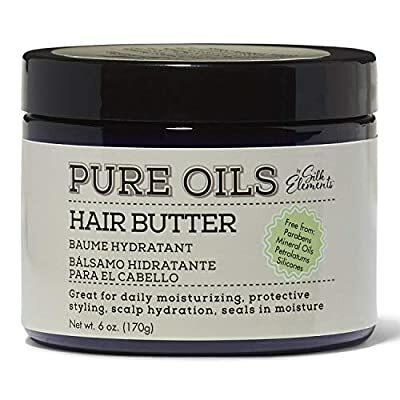 Pure Oils by Silk Elements Hair Butter features moisture-rich butters that help to hydrate, condition and nourish dry, damaged hair while adding shine and taming frizz. Shea and Mango Butter are great for sealing in moisture and adding great shine, while Coconut oil helps reduce frizz and strengthen hair. Capuacu and Murumuru butters help to improve manageability, soften and boost elasticity in curls, kinks and coils. This rich hair butter blend is free of parabens, mineral oils, petrolatums and silcones and packed full of exotic butters and oils, so your curls can be at their best. Apply a small amount of Hair Butter into palms, and rub to melt down for easier application. Use as a daily styler for twists and braids or curls that want soft definition without the hold. 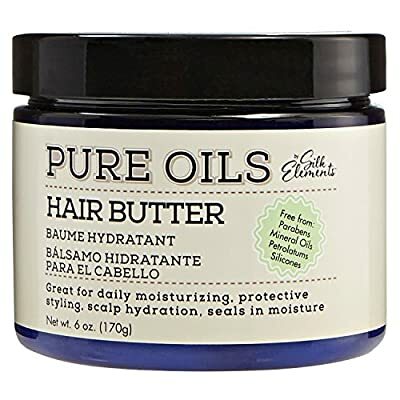 Use on ends or all over hair to help seal in moisture and soften dry, brittle hair. Use on hair, scalp, skin and cuticles to soften and hydrate dry areas.